The date being set by the Christian calendar Mother’s Day should be celebrated on the same day everywhere in the world, it isn’t the case! Here in Jersey we cherish every opportunity to get out and about around our lovely island, and have collected a few ideas for a fun and memorable Mother’s Day. Come and join us – and bring your Mum! 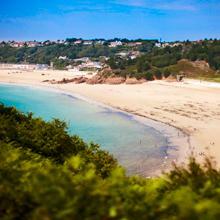 St Brelade’s bay will provide the perfect backdrop for next Sunday. With its sandy beach, blue seas and abundance of restaurants, you will undoubtedly feel as if you are on holiday, treating yourself as well as your mum! L’Horizon Hotel & Spa has a Mother’s Day Sunday Brunch on offer, with booking highly recommended. After your meal why not walk to St Brelade’s Church on the south-west corner of the Bay, the location and the building are well worth a visit and will give you an insight in the island’s rich history. The Salty Dog also has a special Mothers Day menu planned. It will be an ideal place to take the whole family as they cleverly cater for children with their “Puppy Menu”. 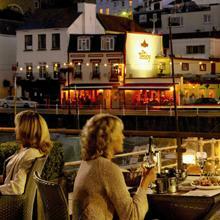 In St. Helier, the Royal Yacht is an ideal restaurant choice with two Mothers Day options, Lunch or Buffet Lunch. Pleasantly located close to the island’s main marina, you will be able to enjoy beautiful seaviews while eating. Flowers are traditionally a must on Mother’s day and the best place to pick a bunch will be in the central market in St Helier. For 200 years it has been at the heart of island life, providing local shoppers with all sorts of fresh food. The market is a Victorian covered building and a very pleasant place to spend some time shopping and people watching. Relax at the Pure Charity coffee shop or buy some local fruits and vegetables. 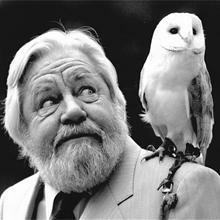 From Mother’s Day to memories of one’s childhood, via an island… Gerald Durrell grew up with his mother and siblings in Corfu, where he developed his passion for nature. This entry was posted in Jersey News and tagged Mother's Day. Bookmark the permalink.